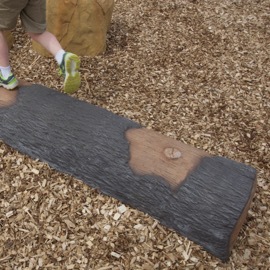 Uniquely themed wood logs as a balance and stepping feature. 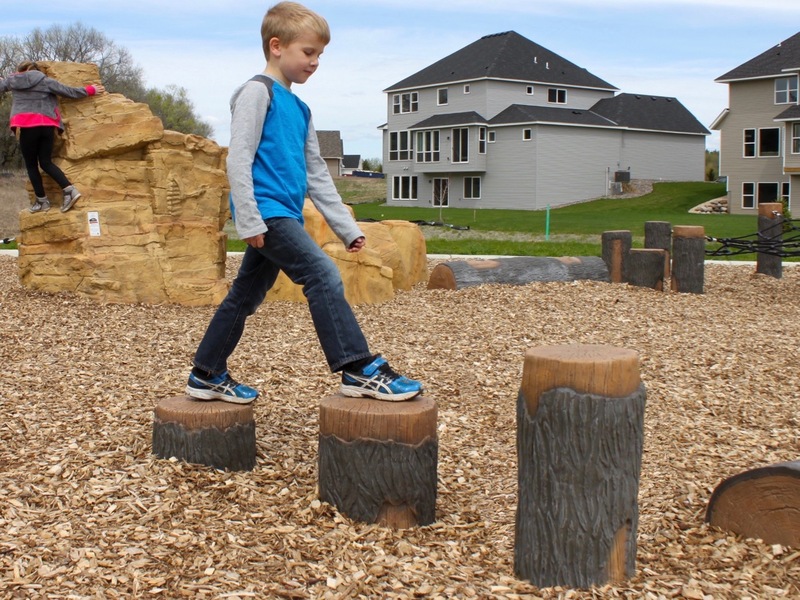 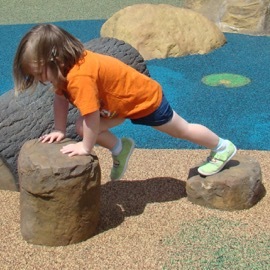 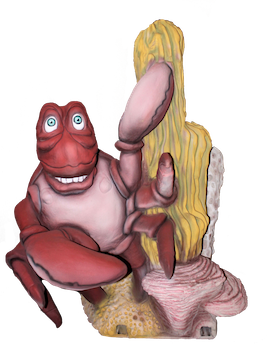 Constructed from Glass Fiber Reinforced Concrete (GFRC), these steppers have the appearance of real tree stumps and boulders with a kid friendly flattened top. 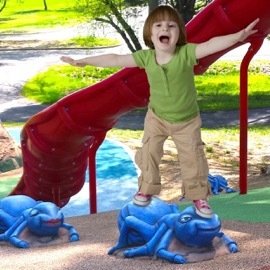 Available in four sizes at finished heights of 8”, 16”, 24”, and 30”.